I wanted to share a few images of my living room today. I am going to sand the mantle down and repaint it. 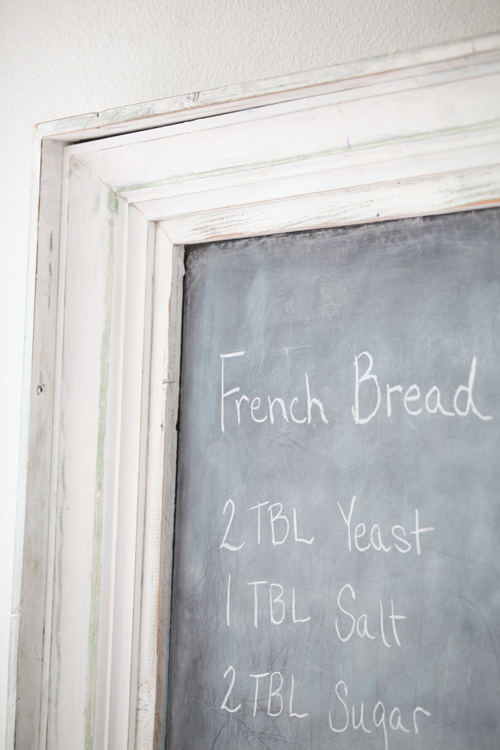 The chalkboard is made from reclaimed molding from an old Victorian House in San Francisco. For right now it sits in this corner of the living room. I have had it for quite a few years. 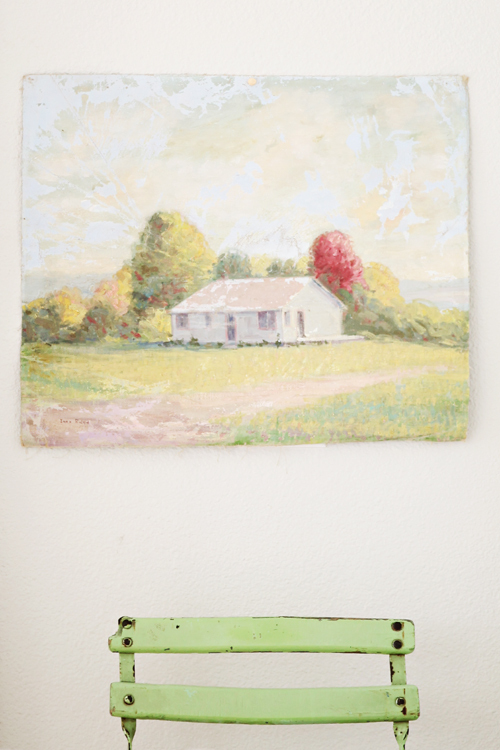 It originally came with a frame, I took the frame off and discovered that it was a painting of a school in California. Keep in mind this recipe is for a family of 12, you might want to reduce the recipe according to your needs. Mix yeast and sugar. Add luke warm water and let stand for 5 minutes until yeast is frothy. In a saucepan scald milk. Remove from heat and add Crisco to the scalded milk. Let cool to same temperature as yeast water. Mix together scalded milk mixture and yeast mixture. Add 2 cups of flour and whisk well. Add salt to 2 cups flour and then mix into dough mixture. Add remaining flour one cup at a time mixing and kneading well as necessary. Dough should be sticky at the end of the process. Cover dough and let rise for one hour. Once dough has risen, roll out into rectangular form on a floured surface. Spread melted or softened butter generously over the form. Spread brown sugar generously over the butter. Roll the rectangular form of dough lengthwise and pinch seam along the edge and ends. Using a piece of sewing thread, cut the roll into sections. 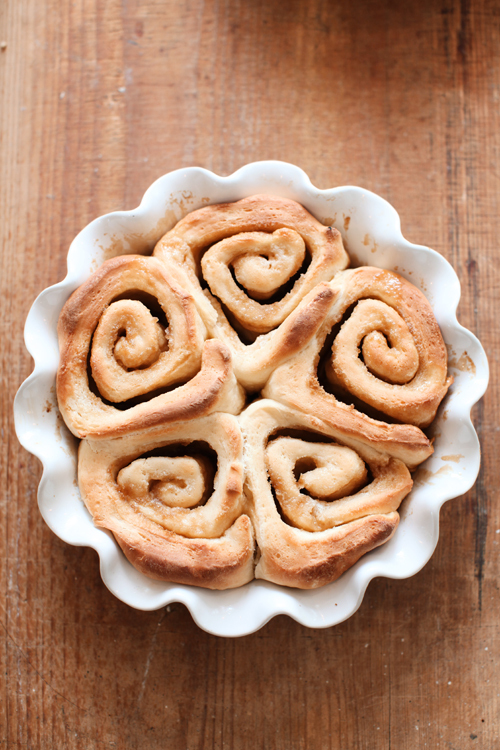 Place the cinnamon rolls into a greased jelly roll pan. 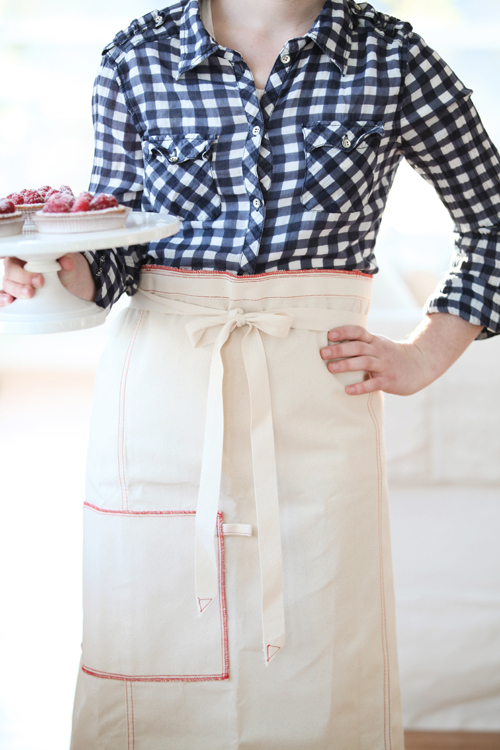 Also thank you to everyone who entered my Raw Materials Design Apron Giveaway! The winner of the French Waiter Apron is Laura Lucero, The Contessa. 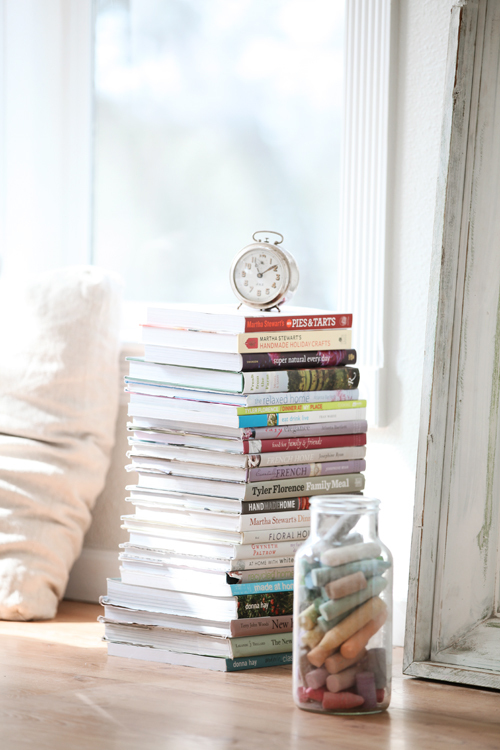 Thank you Janna Lufkin of Raw Materials Design for sponsoring a generous giveaway! 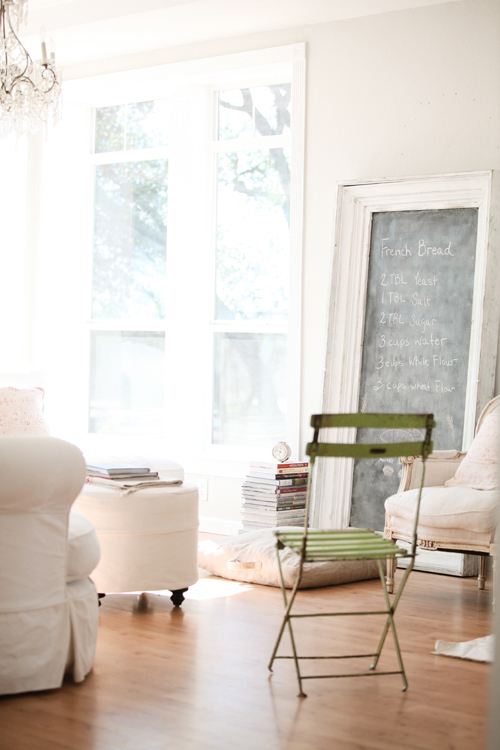 Love the chalkboard, but I'm glad you're putting back your mantel - it's just so you! 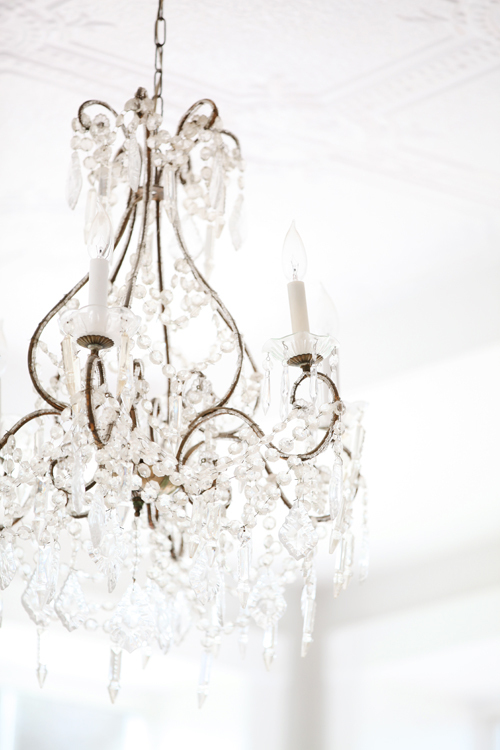 Also, would love your chandelier, it's a beauty! Your home is so beautiful. 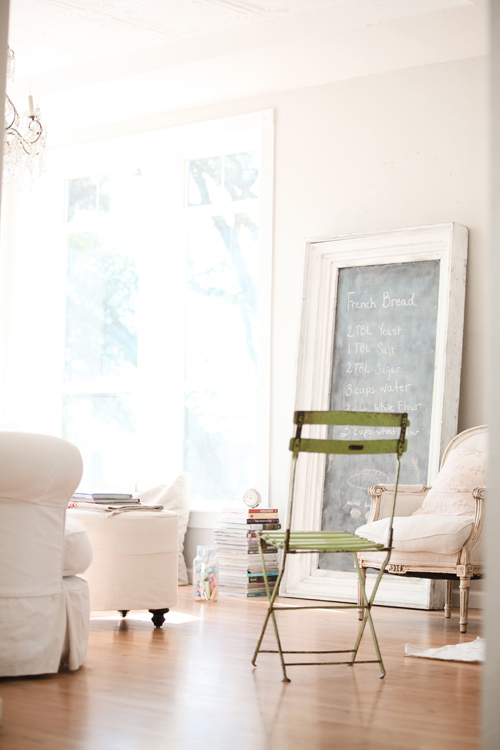 The chalkboard is a wonderful focal point for the room and so much fun too. I'm hoping to make those delicious looking cinnamon rolls. Oh, the way the light floods the room is wonderful! I hope to try your cinnamon bun recipe too! Lovely room and beautiful photos. The cinnamon rolls look really yummy. Thanks for sharing the recipe. Your living room is so lovely! 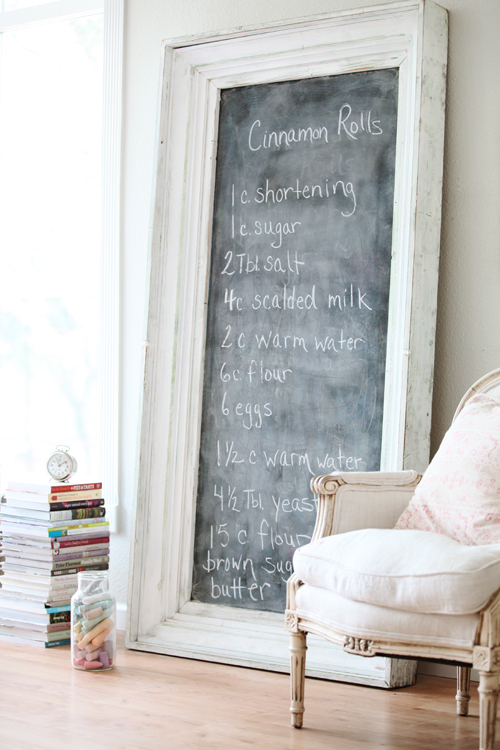 The chalkboard is just perfect and that Cinnamon Roll Recipe sounds sinfully delicious. Thanks for sharing. Wow! It all looks fantastic! :) and cinnamon rolls mmmm! Wonderful photos! 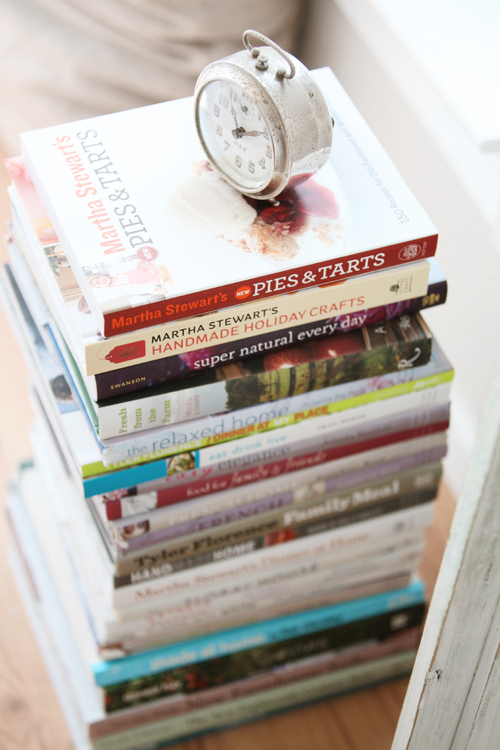 I'm in love with the stack of books, topped with the vintage clock - how sweet is that! 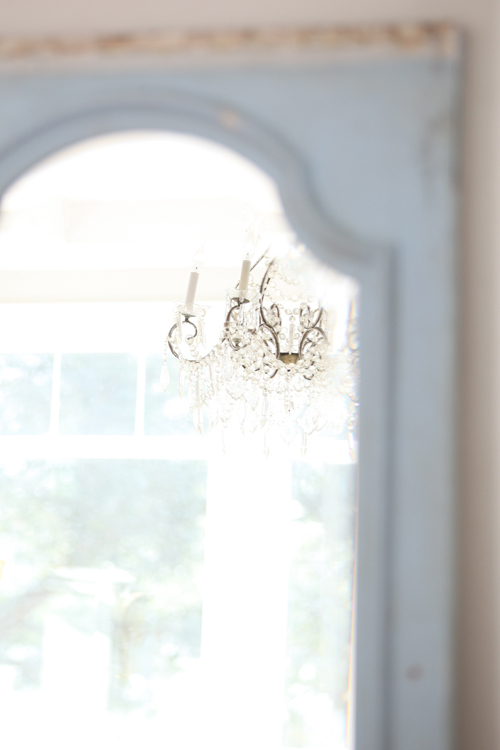 Love your home and gorgeous photos, as always. It is so fun to "fluff" and change things around a bit. I can't wait to see what you do with the mantle! Let me say I LOVE your new profile pic..Beautiful. The chalkboard looks great and I am so stealing your idea with the chalk in a jar. So simple but I never would have thought of such a fun idea. 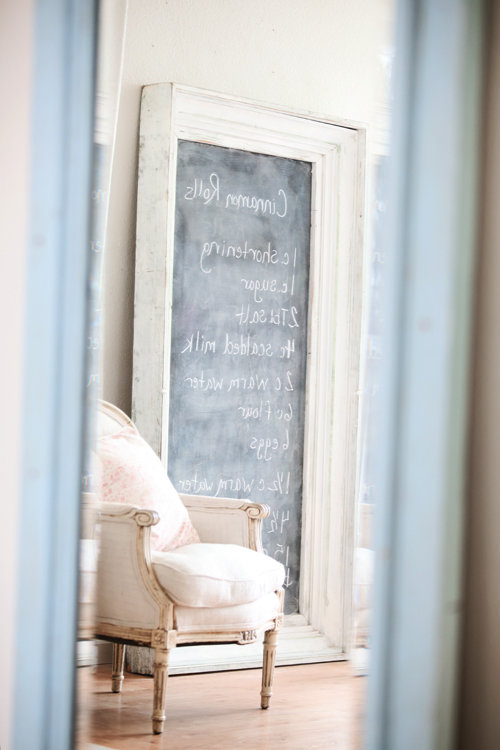 Oh my goodness I just LOVE your chalkboard ~ well I LOVE everything in your beautiful home!! Those cinnamon rolls look so yummy! I remember when my mom use to make them from scratch. What memories! Thanks for sharing!! Love the large chalkboard. I have smaller ones but I might have to make a big one. It looks great in your house. I'm going to make your Mom's cinnamon rolls. Very special recipe! Thanks for sharing. I love the changes you made, the chalkboard is a wonderful addition to the room!! And I too love your apple green bistro chairs, the color is beautiful! What a stunning post - you have it all going on here! I love it and am so glad that I am following along! Thanks so much for sharing and I hope you have a beautiful day! Love the chalkboard and especially the size of it. May I ask where did you get it from? it looks great. I have a chalkboard painted in our hallway. And the kids use it to play school when their friends come over (pretty wide hallway). I really like the apothecary jar with the chalk in it. I really enjoy coming to your blog. 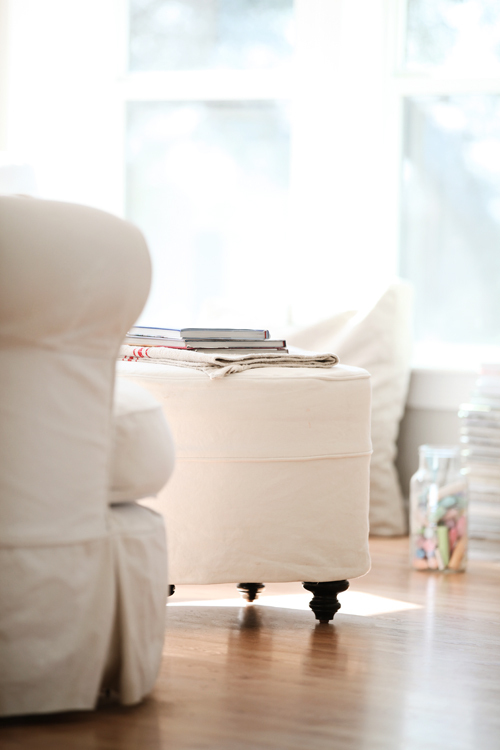 And I love the ideas you have with the wonderful way to use white in your house with splashes of color. But I'm not sure why there are so many pictures of the same "scene". There were 11 pictures of the chalkboard and I realize there were two recipes but it seems to be trend on Dreamy Whites....lots of the same photo. Dear Anonymous~Personally I love looking at different angles of the same photo over and over especially if they are as good as Maria's photographs. I'm very impressed of Your chalkboard! It's amazing, and a jar with colored chalk too! Your have such an amazing touch! I just moved into an 80's ranch style, trying to figure out how to get it looking like your house. Always love your blog. Your photos are art, we love all the angles. Keep them coming please. 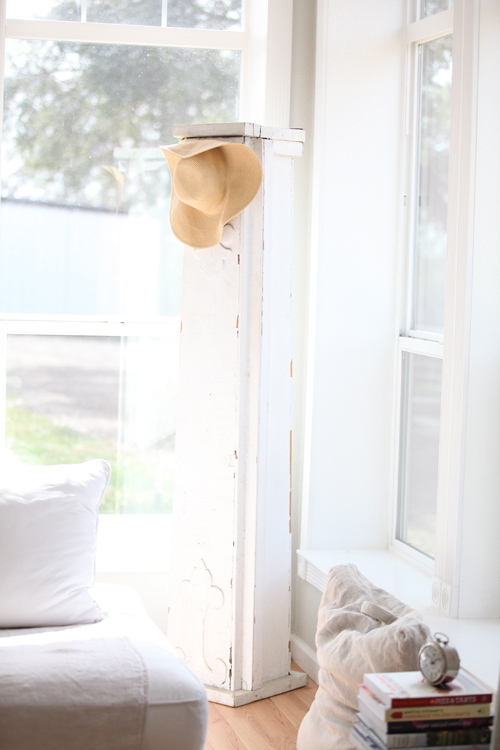 Your house is my favorite house in blog-land, wish you could come to NM and help me! 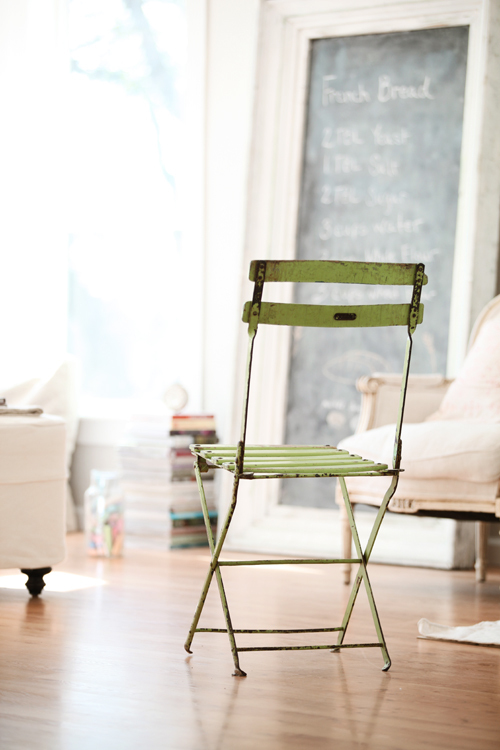 We don't have much "french" to chose from, but less is more anyway right? 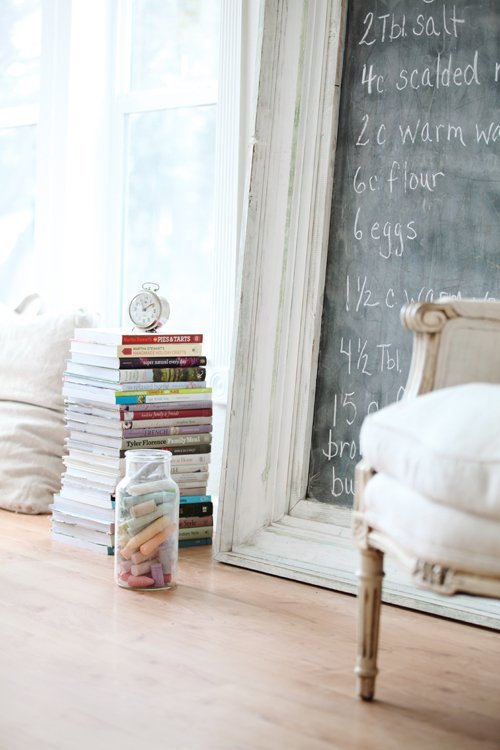 Love the chalkboard, but especially the stack of books. Always looking for ideas to use for books! I used to make cinnamon rolls all the time, but now I'm a loser and buy the frozen ones in the pan (they only take 30 min and there is only 6) Maybe when I have grandkids! Love the whole look of your space! Chalkboard idea fantastic : ) I do have a question..how did you create that clock on the wall? Would love to do that for my living room. Btw.. will be trying this recipe..sounds delish! Your home looks wonderful Maria! :) I cant wait to see more photos..
Love your new profile pic too! I love the chalkboard, it is pretty and functional...a win, win. I am looking forward to seeing what you have done with the rest of the house and see where the mantle ended up. 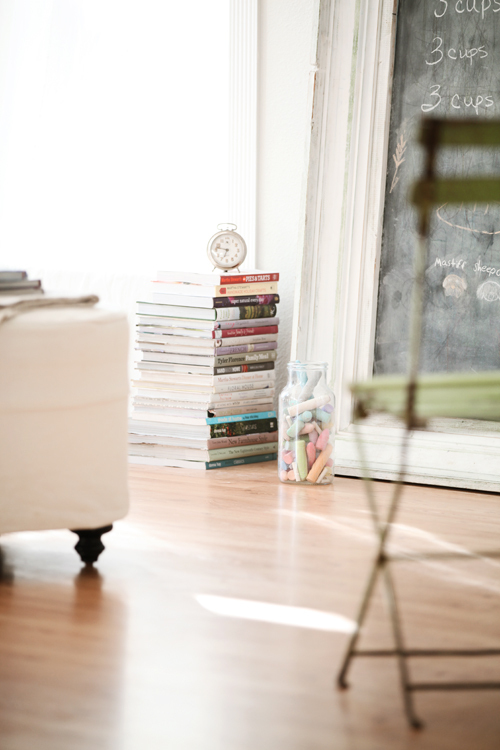 Your living room is just so charming it is incredible... i love the idea of the books on the floor, My guy has tons of books and we have no where to put them.. i might just give up trying to stash them, and put them in stacks on the floor. The molding chalkboard is fabulous... cool that it causes everyone's creative juices to get flowing! So pretty! 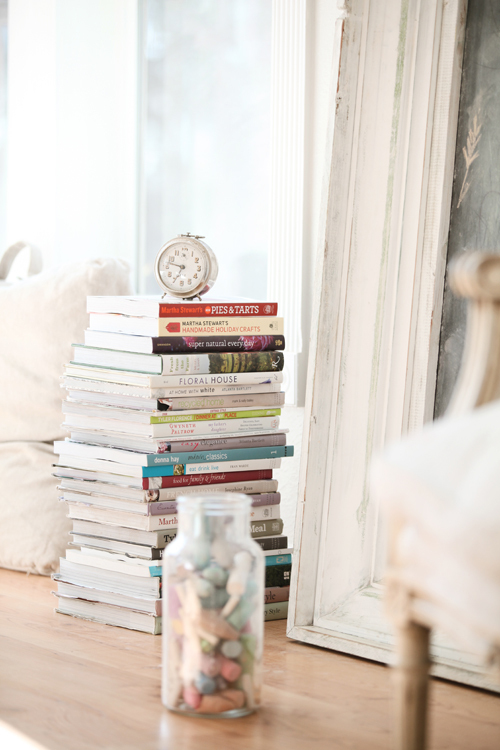 Love everything about that room...very inspiring! I make homemade cinnamon rolls from time to time. Do you use a cream cheese icing on yours? I am so happy to see the recipe on the board! Living in France, you don't come across cinnamon rolls and I have been craving them. Beautiful photos!!!! Loooove the change! U have great style! What a terrific blog, and the photos are to die for. Envious moi! 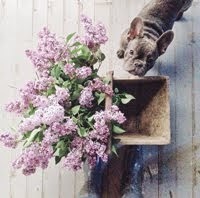 at the risk of repeating myself ... beautiful post, lovely style and styling, wonderful images and ideas! you are the dream queen of blogland! Well I am in Blog heaven this afternoon. I am a teacher, home early because of a Mid West snow storm (really)! 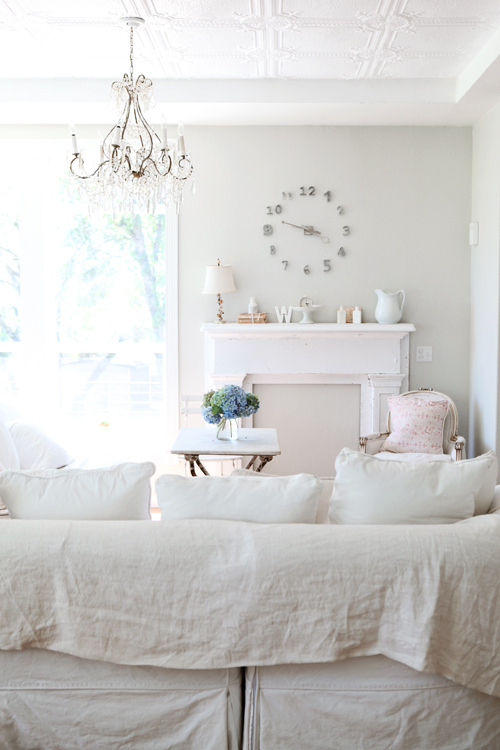 I happened to chance upon Ticking and Toile, where I found your blog. You are fantastic and your blog is wonderful. I thank you for brightening my afternoon I will be back soon for more exciting peaks since I have your whole blog to go through. 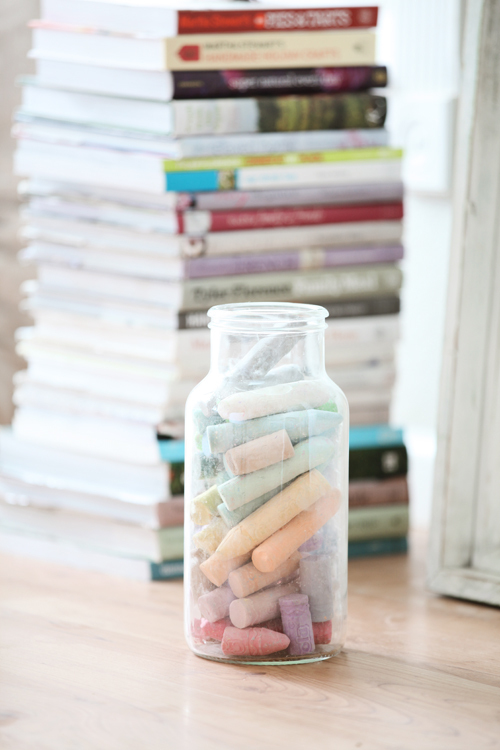 Sidewalk chalk in the vintage jar - beautiful! What a gorgeous post and gorgeous photos! Your living room looks lovely. That chalkboard is wonderful. Love the size of it and a it's fun focal point in your room. I will have to try your cinnamon rolls...they look delicious! Your profile photo is beautiful, Maria! I love the new look of your room and that you are sharing more of who you are. It makes me miss homeschooling. It was such a beautiful season of my life. I want to paint our oak cabinets in our kitchen this year white, but do like the look of yours in grey pearl. Thank you for the calm inspiration. hi Maria, I enjoyed this post very much looking around at all the things you were showing. I always love hearing about real paint colors and how you decided to paint the kitchen cabs the same color as the wall. 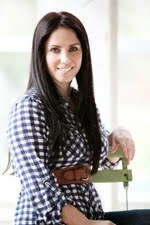 I love your style, it works so well in your home and location. You allot best and great photograph. I like your post. 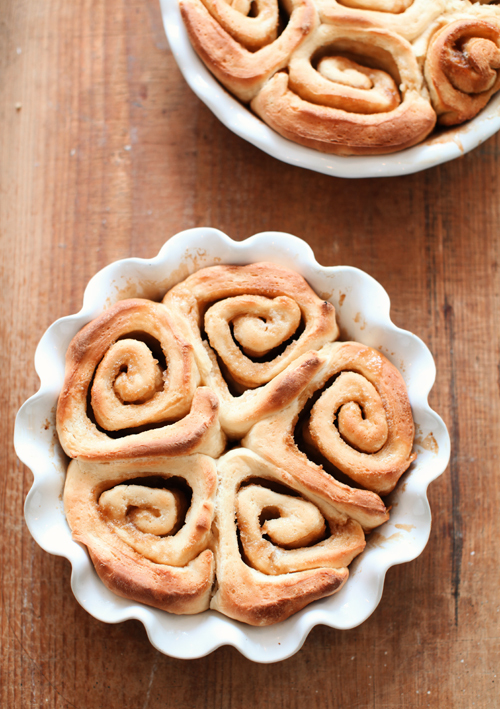 Cinnamon roll is great recipe and looks very different. Its fantastic and delicious recipe share with us. I like this all photo so much. You have done great work. I only just discovered your blog and anticipate spending quite a bit of time here. 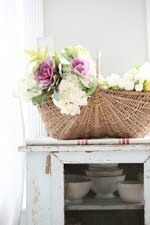 Your styling and photography is beautiful! I think I must be missing something with the recipe though. Why does it say 6 cups of flour and then 15 cups of flour? I have read it a couple of times and I am not sure where the extra 15 cups of flour are going. This is a amazing site i love it and the horses are adorable. Beautiful! Are the cinnamon rolls sitting on your butcher block, and if so...what is it? I also love that chalk board it is very fascinating and how I like it. You did an inspirational job. Just wondering where you bought your large chalkboard from? I love it!!! Наш вебсайт создан исключительно для фанатов такой широкоизвестной игры, как Minecraft. У нас на портале можно выбрать самый лучший для вас сервер для игры Minecraft и с увлечением окунуться в загадочный и увлекательный мир игры. Мы предлагаем новым пользователям загрузить установщик игры, для этого нужно использовать кнопку “начать игру”. Для новых геймеров также полезной окажется информация с описаниями всех наших серверов Minecraft, из которой можно узнать много интересного о том или ином сервере и решить для себя, какой же из доступных серверов выбрать для игры. На нашем форуме происходит общение геймеров на игровую тематику, здесь можно найти также много интересной информации и узнать все детали игры, приятно пообщаться или может заиметь хороших друзей.